"With roots stemming from New England to North Carolina to Norway, Honey Hill finds it's musical base within a potion of hearty folk, pop, and punk influences. A blend of banjo, guitars, keys and vocal harmonies with the intention of lyrics at the forefront. Helene, Karl, and Justin have been singer-songwriters in their own domains long before the group came together and bonded over the beauty of cadence, melody, and the craft of original songwriting. 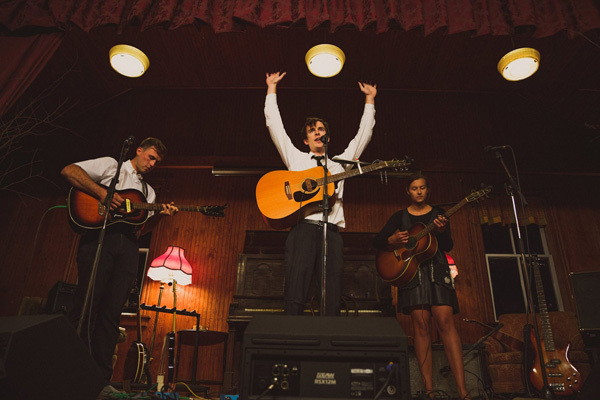 With some brave performances under their belt in NYC and the surrounding New England area, the group is part of a hopeful rise of the folk spirit within young artists. Honey Hill offers their confessions, self-reflections, and professions of love to every audience they find, always leaving traces of sweetness." GATES OPEN Half Hour before the show. First come first seated. Shop at the Chester Package Store across the street!